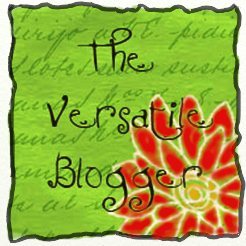 My international recipes, healthy style of life, travel around the world…Meu blog é sobre minhas receitas internacionais e minhas aventuras, está em Inglês, Português e Espanhol. Brazilian Shepherd’s pie?????? Why not? 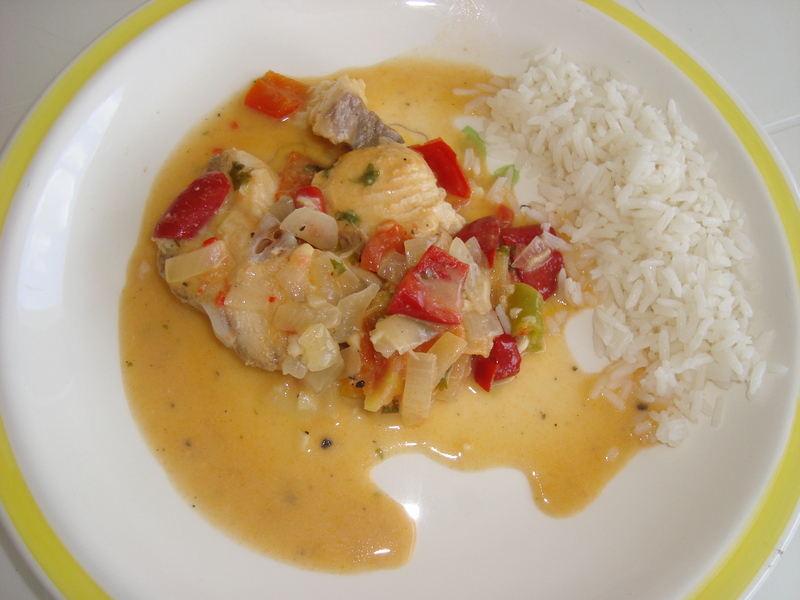 It is call (Escondidinho), another popular dish in Brazil that I will give a little twist using chicken breast and adding more flavour to it, enjoy….. This popular family dish is simple to make and taste wonderful. In a bowl, mash the potatoes with butter, add the milk, parmesan cheese and a bit of salt, mix well. 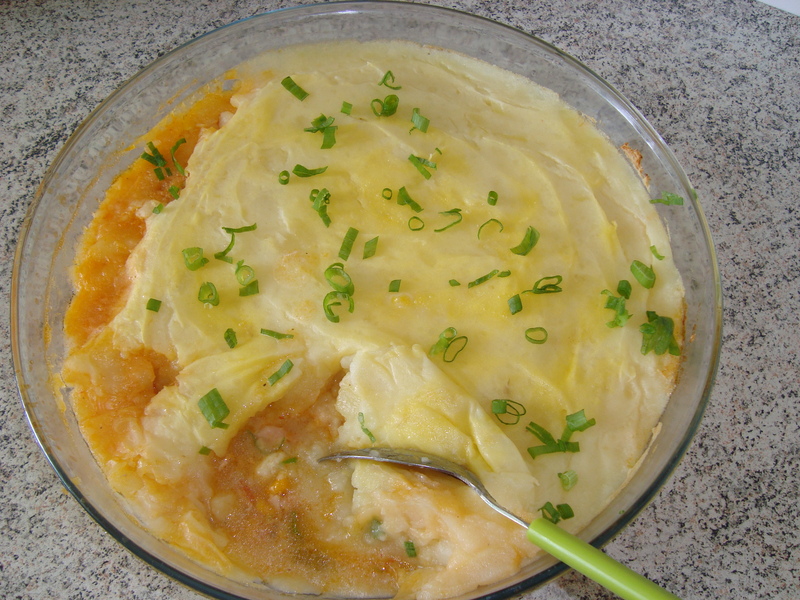 Preheat the oven to gas 7 – 15 mins before cooking the Brazilian shepherd’s pie. Heat the olive oil in a medium pan, add the garlic clove and chilli, cook for 1-2 minutes, add the tomatoes and cook for further 4 minutes. Add the shredded chicken breast, olives, sweet corn, chicken stock, spring onions, season to taste, mix well and cook in a low heat for about 5 minutes. 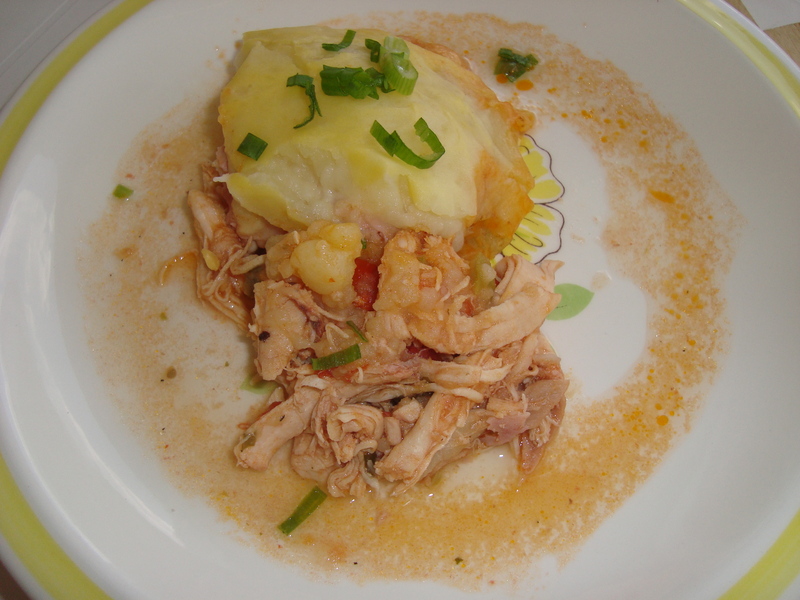 Transfer the chicken mixture into a ovenproof dish, smooth and creamy, place layer of smoked ham and cheese, then spread mashed potatoes evenly over it. Brush the beaten egg yolk carefully over the potato. Cook in oven until top is browned. 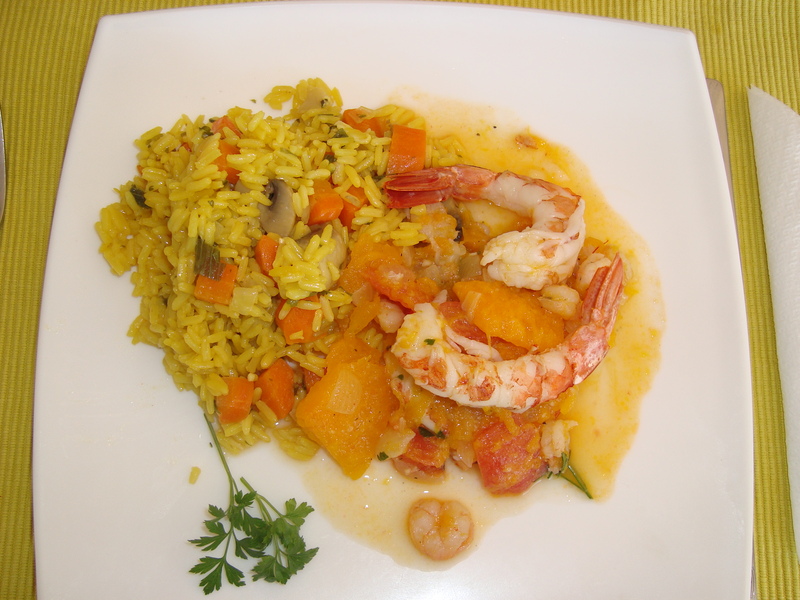 Serve with mix salad or cooked vegetables. Season the fish with a juice of the lime, salt and fresh ground black pepper. Heat the olive oil in a large casserole and cook the chopped onion for 2 minutes, add the garlic, green or red chilli and cook for further 2 minutes. Place in the green, red pepper , tomatoes and the vegetable tablet and cook for 5 minutes. 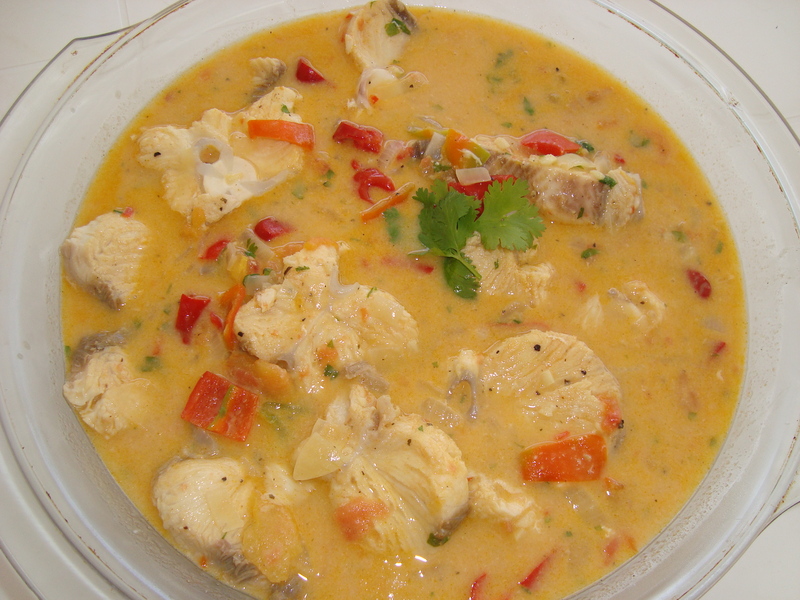 Add the fish, coconut milk, coriander and season to taste. Cover the pan and cook in a low heat for 10 mins. 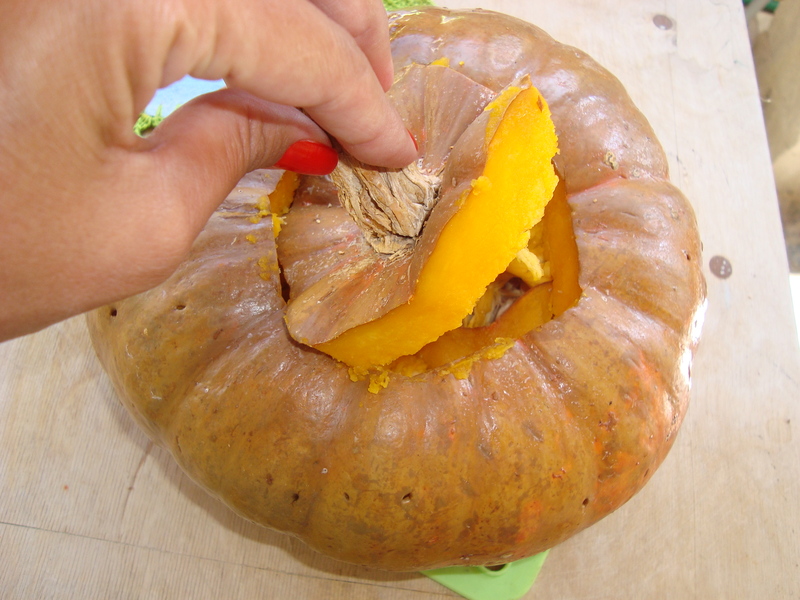 Heat the oven Gas 5 180 ˚ C.
With a knife cut the top of it like a Halloween pumpkin. Remove the seeds and spread the fondor or vegetable tablet stock all inside of it. Wrap in an aluminium paper and bake up side down in the oven for about 40-45 minutes or until tender. Do not let it burn. When it is cooked, remove from the oven let it cool down and with a tablespoon carefully take some of the pulp from the pumpkin and reserve. Heat the oil in a frying pan and cook the onions for 3 minutes, add the garlic and cook for 2 more minutes. Add the tomatoes and continue to cook for further 3 minutes. Add the medium prawns and cook until they have a light pink color, add the coconut milk, mix well, add the paprika, fresh chilli, coriander, salt and pepper, stirring gently for 5 minutes and pour the sauce into the pumpkin. Meanwhile, clean the large prawns, remove the legs of the prawns and break off the shell by bending both sides backwards. Cut down the back of the prawn, cutting deep enough just to expose the intestinal vein which should then be removed. Heat a little bit of oil in a frying pan and fry the prawns until the color is light pink, seasoning with salt and pepper and reserve. 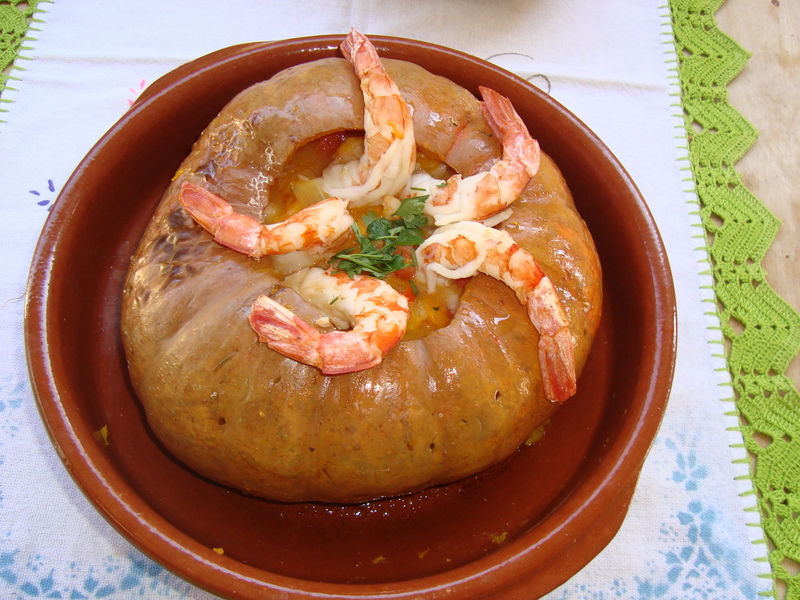 Decorate the pumpkin with the large prawns and serve with boiled rice.